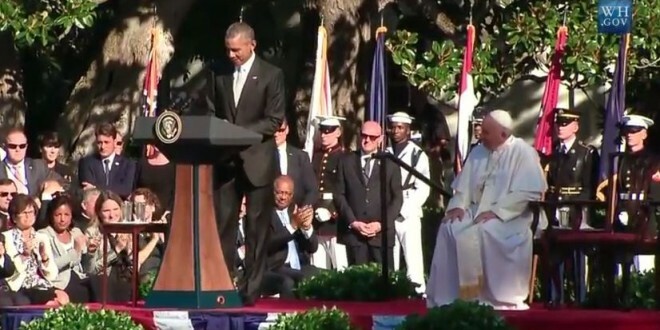 LIVE VIDEO: Obama Welcome Pope Francis - Joe.My.God. With enormous pomp and circumstance, President Obama is welcoming Pope Francis to the United States in a speech on the White House lawn. Pope Francis will reportedly speak in English.